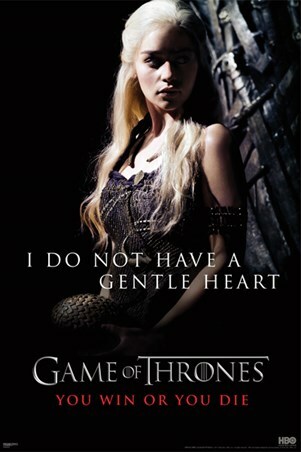 Television Maxi Poster: Heed the wise words of Tyrion Lannister as you admire this brilliant quote maxi poster from the fantasy series 'Game of Thrones'. 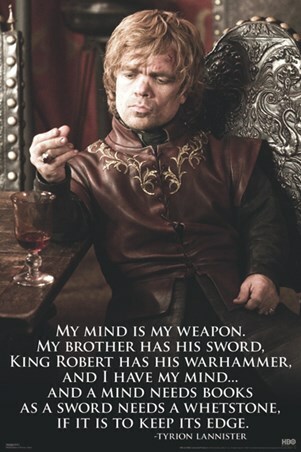 Featuring the heir to the House Lannister throne, Tyrion (Peter Dinklage) is pictured on a decorated chair as he looks thoughtfully at his wine glass. 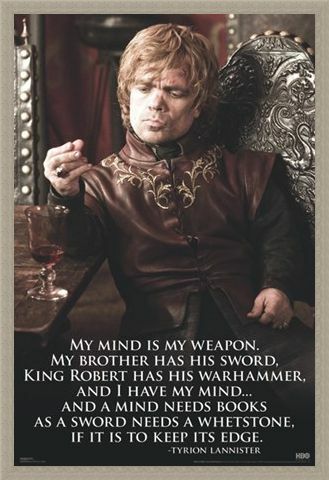 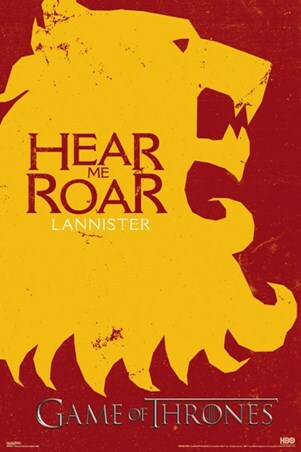 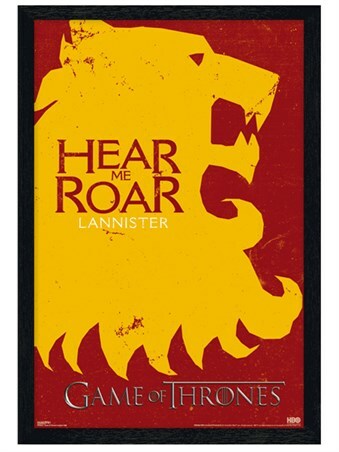 Along with the quote "My mind is my weapon, my brother has his sword, King Robert has his warhammer, and I have my mind..." from series 1, episode 2, this brilliant maxi poster is a must have for anyone who follows House Lannister. 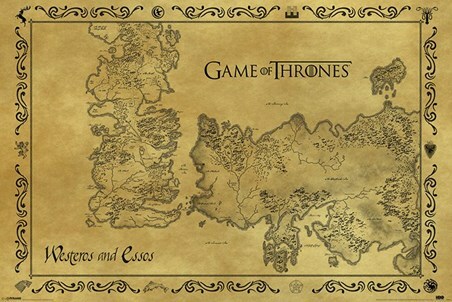 High quality, framed My Mind Is My Weapon, Game of Thrones poster with a bespoke frame by our custom framing service.